“Complex goals are often best achieved when you are not trying to achieve them directly.” That’s the advice from John Kay, a leading economist and Visiting Professor of Economics at the London School of Economics, a Fellow of St John’s College, Oxford. And it’s very good advice when it comes to exit strategies. Right now, your business owner clients are probably not working on ending their businesses—they are trying to grow them. Yet at the same time, they still must work toward achieving the complex goal of making a great exit. When it comes to transitioning out of business, most business owners probably don’t know what they don’t know. They may think it is just “cashing out of business” or an event rather than a process. In this webinar, we will discuss past client experiences that will shed light on the psychology of exit, as well as issues owners struggle with. We will then discuss how to navigate various business owner issues regarding exit. The EPI Educational Webinar Series is a FREE monthly web-based continuing education presentation for EPI members and the general public. Topics for the webinars complement the EPI Value Acceleration Methodology, a process created by Christopher Snider, and taught the Certified Exit Planning Advisor (CEPA) Program. These one-hour educational broadcasts are taught by industry experts from across the nation. Register today and enhance your exit planning knowledge every month with EPI! Mark Kravietz is the Managing Director and Partner of MK Wealth Management at HighTower. He has been in the financial services industry since 1986, and leverages his wealth of experience to create strategies for clients that focus on supporting their financial lives. Mark holds the Certified Financial Planner™(CFP®) designation, as well as the Certified Investment Management Analyst® (CIMA®) designation from the Wharton School of Business. He specializes in exit planning, and achieved the prestigious accreditation of Certified Exit Planning Advisor® (CEPA®) from the University of Chicago’s Booth Business School. He is a founding member and President of the New York Chapter of the Exit Planning Institute (EPI). Mark recently received the EPI’s 2016 Leadership of the Year Award. He was also honored at the 2014 International Exit Planning Conference with an Excellence in Planning Award as volunteer of the year. 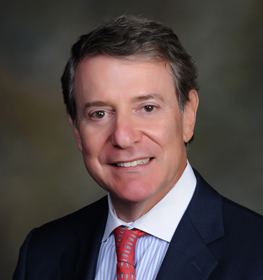 Prior to HighTower, Mark was part of the Global Circle of Excellence and Chairman’s Council Member at UBS Financial Services. He has been the subject of articles in a variety of publications and has made radio appearances. His knowledge of financial, investment and estate planning has helped clients through difficult market cycles with custom, tax-efficient portfolios. Mark holds his Series 7, 63 and 65 licenses, as well as the Commodity and Life and Health Insurance licenses. Mark is a founding board member of the LI Alliance of Mergers & Acquisitions Advisors (AM&AA), a member of the Investment Management Consultants Association (IMCA) and a member of the New York State Society of CPAs. Mark is a founding Registered Player Financial Advisors of the National Football League Players Association (NFLPA). In addition to being a loyal husband and father, Mark believes in giving back to the community. He is currently a board member for the Long Island American Heart Association where he also serves on the National Investment Committee and is a former member of the Board of Trustees for Portledge School, as well as a fund raiser for the National Breast and Prostate Cancer Research Association, Make-A-Wish Foundation and the Ronald McDonald House. Ms. Djamshidi has over 18 years of successful experience providing fiscal, strategic, operations and M&A leadership to board members, business owners and executives of more than 200 companies on growth, merger and acquisitions and business succession plans. Ms. Djamshidi has worked with government contractors and hyper growth companies from various sectors such as: cybersecurity, bio- tech, chemical, nano-technology, supply chain and logistics, SaaS, IT services and solutions, data analytics, and visualization. 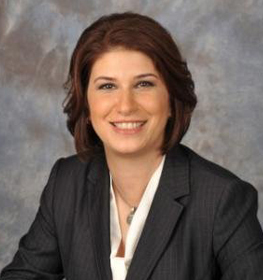 Ms. Djamshidi is a frequent speaker at conferences and judge of numerous innovation challenges. Sarah Djamshidi is a proven and trusted business advisor. She has advised high-profile, technology-based early-stage tech companies and led public-private-partnership organizations with great success. She guides clients through a multi-faceted planning process where both financial and business goals are analyzed and optimized for business transition. Sarah assists clients in determining what options are best – stay, grow or exit their business (via PE, ESOP, MBO, or outright sale), she then helps clients execute the desired option. Ms. Djamshidi has raised more than $25M in venture capital for technology companies from various sectors such as clean-tech, cyber security and bio-tech. Hired by the Board of Directors, as the Executive Director of the Chesapeake Innovation Center (CIC), nation’s first homeland, national and cyber security accelerator, she advised technology companies nationwide and global firms from New Zealand, Finland and United Kingdom. She also launched and successfully ran a technology scouting program for the IC community (NSA, DISA, Cyber Command, and DHS). During that time, analyzed more than 600 technology companies. Her work with her client companies leads to numerous regional awards for those firms. In addition to managing her own business, she was the President of Maryland Business Incubation Association (MBIA), an association of more than 20 incubators and accelerators supporting more than 400 emerging companies throughout the State of Maryland. She also testified before U.S Senate on Role of Small Business in Defending our Nation from Cyber Attacks. Sarah holds a Series 79 – Investment Banking Representative and a Bachelor of Science degree in Management Science and Statistics with specialization in Decision Information Systems from the University of Maryland. Certified Business Exit Consultants (CBEC) training from Pinnacle Equity Solutions.